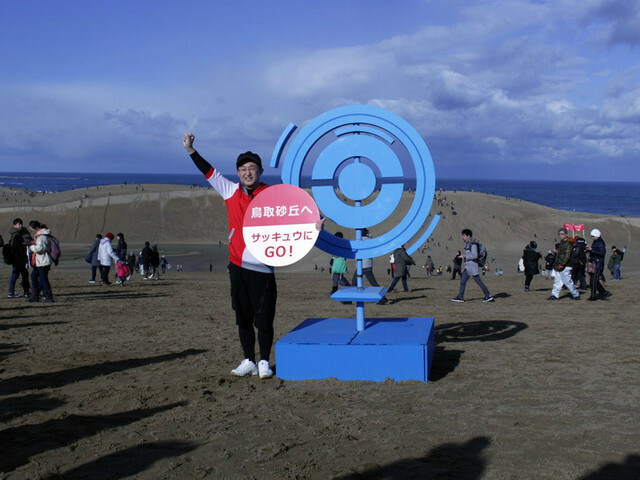 As we reported earlier, the Tottori prefecture government and The Pokemon Company struck a deal to host a special Pokemon X Tottori Tourism Campaign from December 6, 2018 to January 14, 2019. Thanks to a newspaper article we now have more details on what the campaign entails. Original Pokemon goods featuring Sandshrew will be offered exclusively in Tottori. 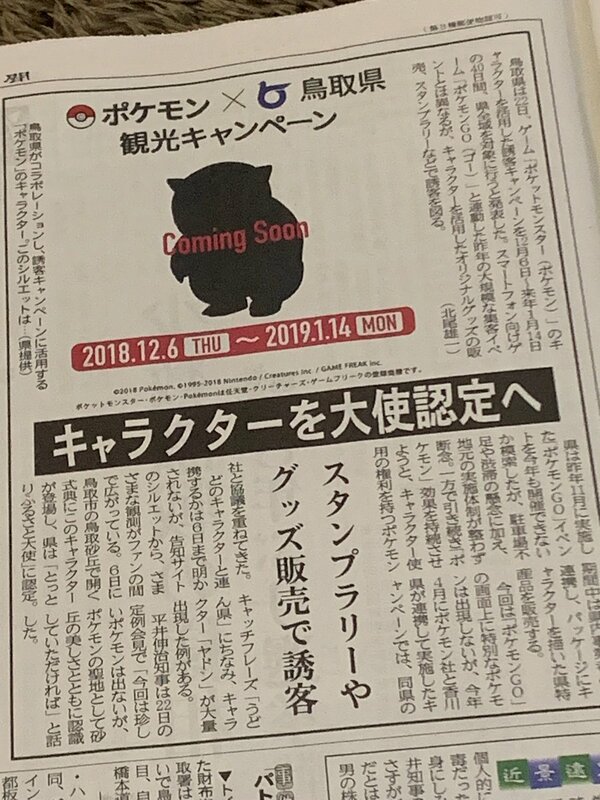 A stamp rally campaign (collect stamps by eating at specific restaurants) will be held, Sandshrew will be certified as a “local ambassador” of Tottori, and local specialty goods will feature Sandshrew on its packaging. If you’re wondering why Sandshrew was chosen to represent Tottori, that’s because of the famous sand dunes it’s known for. That’s all we know about the campaign so far. We’ll share with you more details as they come.